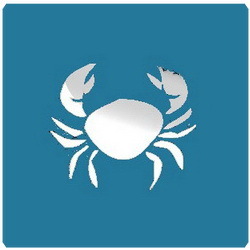 Cancer Moon Sign Karkat Rashi April 2019 Monthly Prediction . Family life predictions: The daily life seems to bequite favorable. Because of the family turmoil there will be stress. Therelatives will pay a visit at your place and spend some time with you. The goodnews is that during this month the couples will be expecting their child.Others will be happy with their friends. But you should be careful as all ofthem are not fair. Some of them may try to damage you and your familyreputation. Your daughter might be in trouble and for that you will be worried.But it will get reduced after sometime. There will be mental worries about therelatives. Expected to hear bad news. Otherwise there will be peace all over. Dontever try to argue with your father, who is the symbol of Sun; otherwise you mayget into trouble with your financial issues. Lucky days are: 1st, 13th, 14th,19th, 27th, 29th and 30th ofApril,19. Social life predictions: At the beginning the socialand the daily works will be good followed by the interest in social works. Thedaily activities will be average. Lucky days are: 3rd, 4th, 7th,19th of April,19. Financial condition predictions: The month will beginwith average income and expenditure. At the end of the first week there will besome income from new connections. Till the second week the income and expenseswill be average, nothing extraordinary. On 16th there may be somemonetary gain noticed, so keep a check on your bank accounts maybe from termdeposits or any health policies or from brokers. There will be both income andsame amount of expenses, so there is no savings. Look into the matterseriously!! Lucky days are: 2nd, 5th, 14th,16th of April,19. Job predictions: The work life is predicted to be unfavorablefor you. Dont get into unnecessary complications. And try to avoid any errors.It is a favorable month for both the singers and the actors. Even the monthis favorable for the writers. Then after a long hard work the success will kissyour feet and your family will feel proud of you especially the parents. Nextyour performance will lead to earn respect and prestige. The job life willremain exciting. But hold on; dont get over excited as there will bedisagreements. 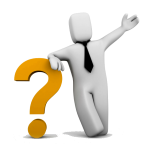 Business predictions: Because of business loans therewill be work indifferences. The prediction shows that there may be someobstacles in business. For this reason, the profit amount will be less. Health predictions: Mental peace will prevail forthis month other than any small intricacies. Mental stress due to the familyissues will lead to heart diseases. However during 9th or 10ththe health condition will remain average. Then on the second week the mentalpeace will be there due to some reason. Be careful about stomach ache. Avoidoily and street foods. For some reasons your health will not permit for anystressful job. Be careful during the month end as there may be some sort ofphysical injury. Education predictions: This month is a good one forthe Cancer-ians. Those who are hoping for getting a higher study youmay fulfill your wish and later on your dream will come true. Love life predictions: Getting cheated in lovematter. But it would not be for long as your ex may come back to you or newpartner will arrive. Marriage life predictions: The month will not beginwith a very good note. The marriage disputes will stay for long. The marriagemay be in turmoil. If you love your spouse then try to solve the disputesotherwise it would be very difficult later on. Lucky days are: 30th of April,19. Travel prediction: There will be travel expectations.The hopes for long distance travel or invitation from foreign universities are expected. Lucky days are: 2nd of April,19. Prediction for Cancer (Karkat Rashi) May 2019 is here..